You need a reliable post-acute care partner with proven quality and clinical processes that can reduce unnecessary readmissions and improve your bottom line. That’s where we come in. LHC Group has been building trust, knowledge, and stability with partners across the country for over 20 years. More than 70 health systems, consisting of more than 336 leading hospitals around the country, have partnered with LHC Group to deliver patient-centered care in the home. We understand that all healthcare is local – which is why we uphold your brand with high quality care. We partner with the nation’s leading hospitals and health systems to seamlessly transition patients from the acute to the post-acute setting. Together, we bring a patient-centered continuum of care to the communities we serve, reducing avoidable readmissions, improving clinical outcomes and enhancing operational performance. Find out why more hospitals and health systems around the country choose LHC Group. Contact us today for a custom solution to meet your post-acute care needs. LHC Group’s quality and patient satisfaction ratings continue to outperform national averages and industry peers by a significant margin – according to the latest Centers for Medicare and Medicaid Services (CMS) Five-Star Quality Rating System results released in April 2018. Our average quality star rating is 4.68 and patient satisfaction rating is 4.32. In 2014, a total of 124 LHC Group home health agencies achieved HomeCare Elite recognition. This independent ranking recognizes the top-performing and most successful home care providers in the United States. We are also a national leader in Joint Commission accreditation. Whereas just 15 percent of home health agencies nationwide have achieved Joint Commission accreditation, 100 percent of our home health locations have earned accreditation or are completing the accreditation process. We work with our partners to implement a robust post-acute care strategy that improves patient outcomes and maximizes operational efficiency. We understand there is no “one size fits all” approach to an effective post-acute care strategy. We’ll provide a customized solution designed to build on your organization’s strengths and maximize growth opportunities in your market. We’re comfortable implementing a wide variety of partnership models. Whether your organization already operates home health and/or hospice locations or whether you’re just beginning to explore post-acute care ownership as part of the care continuum, we can help. As your post-acute care partner, we’ll not only achieve short-term financial success but also deliver long-term value. By optimizing your post-acute care cost structure and implementing our proven operational model, we’ll make your current post-acute care operation more efficient and profitable. We’ll also cultivate new business by extending your acute-care brand into the marketplace, successfully increasing market share from non-hospital-based admissions. Through this two-pronged approach of cost-optimization and growth, post-acute care will become an integral part of your organization’s operations and deliver value to your stakeholders. We believe that innovative technologies, including point-of-care devices, are key to ensuring efficient processes and effective patient care. Our company’s robust compliance program has been widely recognized as a model for the industry. Key initiatives include our comprehensive training and education program through which all LHC Group employees complete intensive compliance training annually – and all new employees undergo detailed compliance training within the first 60 days of employment. We also conduct rigorous auditing and monitoring in each of our agencies on an ongoing basis, and every employee is encouraged to report compliance concerns via our IntegrityLine compliance hotline. "It's important to partner with a large capital healthcare provider that has demonstrated long-term commitment to patients, to profitability, and to doing the right thing at the right time — every time." Check out our resource library full of helpful guides, and links that can help you in your search for a healthcare partner. The Clinically Appropriate and Cost-Effective Placement project, commissioned by the Alliance for Home Health Quality and Innovation and conducted by research firm Dobson DaVanzo & Associates, examined how Medicare’s use of home health can better meet beneficiary needs and improve the quality and efficiency of care. LHC Group is a member of the National Association for Home Care and Hospice. More than 70 health systems, consisting of more than 336 leading hospitals around the country, have partnered with LHC Group to deliver patient-centered care in the home. 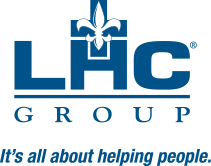 LHC Group is the highest quality provider in the post-acute realm with a reputation for driving savings for payers while still improving patient outcomes and experiences. With several newly acquired Medicaid providers, LHC Group is well-positioned, due to its size and sophistication, to innovate in providing home care for state and Medicaid-managed care plans beyond the traditional fee-for-service standard. We are dedicated to the development and improvement of value-based payer models for our core business and additional business lines, as well as new arrangements with payer and managed care partners. We create new capabilities for leading home health into value-based arrangements and exploring alternative delivery models for healthcare in the home. We are dedicated to enhancing the emphasis on innovation and technology to improve the efficiency and effectiveness of our payer relationships. Find out why more hospitals and health systems around the country choose LHC Group.